The UK Blues Federation (UKBlues) is delighted to announce that with immediate effect the British Blues Archive (BBA) is to amalgamate with UKBlues and come under the organisation's ‘umbrella' with BBA's online archive material being incorporated into the Education section of the UKBlues' website ( www.ukblues.org ) . In addition UKBlues and the British Blues Archive are working with the British Blues Exhibition ( www.britishbluesexhibition.co.uk ) and Early Blues.com ( www.earlyblues.com ) who have agreed to migrate some of their relevant online content to further enhance the brand new and comprehensive resource afforded by this new venture. This unique partnership will create an unparalleled central resource and reference point for historical material relating to blues in the UK online and forms part of UKBlues' stated aim to seek to provide educational material and facilities to widen knowledge of the blues in the UK and to assist those also seeking to do the same. Ashwyn Smyth, Chair of UKBlues said: ‘We were thrilled and honoured when Peter Harvie, joint founder of the BBA, approached us to suggest an amalgamation. The BBA has a wealth of material of all sorts and Peter's approach came as our webmaster, Alan White, was in the process of setting up an Education section of our website following our decision to seek to develop this aspect of our activities. So this was a great idea that arose at the perfect time. To then have the British Blues Exhibition and Early Blues offer to work with us to further enhance this was the icing on the cake and we thank board members Darren Weale and Alan White for their generous co-operation. 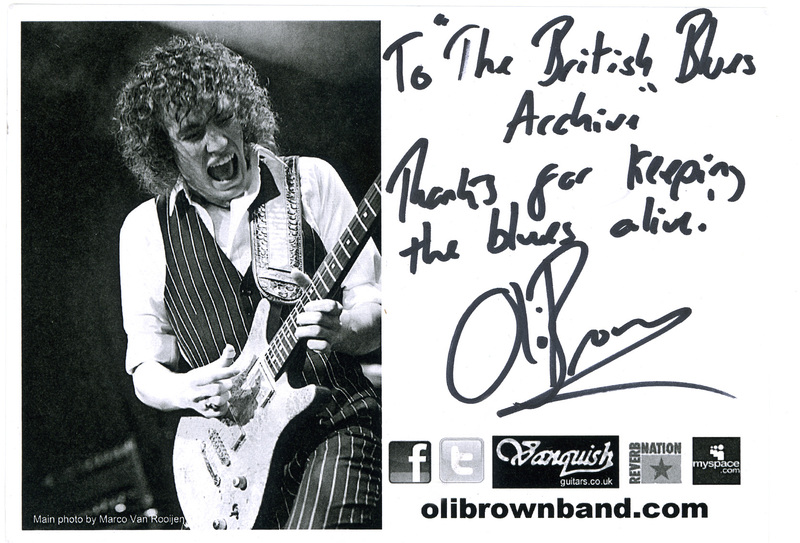 Peter Harvie of the British Blues Archive said; 'We at the British Blues Archive are delighted to be joining UK Blues. The work being done by the British Blues Archive and UK Blues complement each other and the bringing together of our strengths has created in one place a tremendous resource, the place to go to for information, history, interviews and insights on British Blues. We at the British Blues Archive are tremendously excited about the amalgamation and are looking forward to new projects ahead with UK Blues'. The UK Blues Federation is a not for profit pan-UK federation that was founded in 2015 to create a focal point for blues in the UK by bringing together musicians, fans, venues, festivals and many others involved with the genre in the UK. In addition, UKBlues has created and is continually developing a UKBlues website as the one-stop portal for comprehensive information on UK Blues artists, venues, events, festivals, agents, magazines, radio and record labels. UKBlues also seeks to provide support and guidance to the blues community in their blues projects, develop and provide support for educational projects, particularly those aimed at the younger generation as well as organising an annual UK Blues Challenge to ensure that the UK is represented both at the European and International Blues Challenges. UKBlues also works to seek/provide financial assistance for the UK band competing at these Challenges.